Secure, flexible dedicated hosting from Aln. Dedicated Cloud from Aln offers a flexible system that will make your business more efficient and provide you with better value for your money. Revolutionise how you access your information. With Dedicated Cloud you have a new way of controlling your computer systems, at your finger tips. In business you expect your suppliers to be good at their job. You need them to be highly accountable, responsive and, empathetic to the needs of your business. When that supplier is delivering hosting services for your critical applications and web sites, these attributes are not only expected, they are essential. Our Cloud system is based in a secure high tech Data Centre with power fail over. Should a power outage occur, the onsite generator will provide vital power. With Dedicated Cloud, your business is safe. 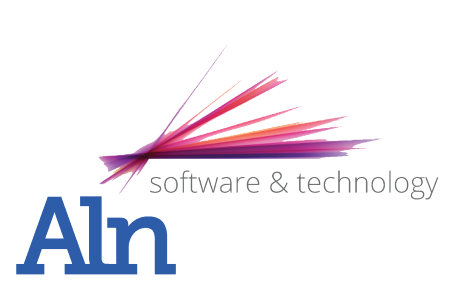 Aln can design, deliver, support and maintain a full cloud based system for businesses of 5 or more employees. We take care of all operational aspects including security, round-the-clock support, software upgrades, server administration, and data backup leaving you with more time to concentrate on the important things - like running your business. Dedicated Cloud offers all the power and control of a traditional dedicated server with instant flexibility and cost efficiency, as well secure access to all your applications and data from any device. With a our Dedicated Cloud solution, each system can be customized to your specific needs, there is no need to settle for some off-the-shelf, one size fits all solution. You can have all of this right here and now! !